Chainsaw Carving The Art and Craft by Hal Macintosh. New release. 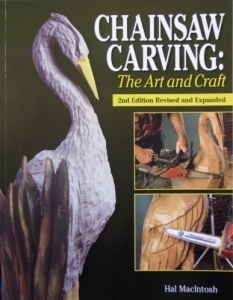 A new 2nd edition revised and expanded copy of one of the most well known and sort after books on chainsaw carving. You will find information on all the elements of chainsaw carving, with step by step tutorials and project ideas, accompanied by a spectacular showcase of many famous carvers works. 160 pages, soft cover.